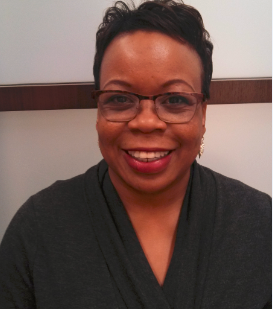 In honor of Program Pride Week, today we’re highlighting Jo-Ann Williams, a graduate of the College’s Paralegal Studies program in the Legal Studies division. Jo-Ann first graduated from Peirce with her associates degree in 1987 (when we were still a junior college!). Several years later, she returned and earned her Bachelor’s Degree in Paralegal Studies. We’d like to extend a big thank you to Jo-Ann for allowing us to feature her during Program Pride Week. Keep up the awesome work, Jo-Ann! Check back tomorrow to read another success story!